Beth Cullen (nee Shank), 49, of Lorain, died peacefully while surrounded by her loved ones on Wednesday May 9, 2018 at Mercy New Life Hospice Center of St. Joseph in Lorain. 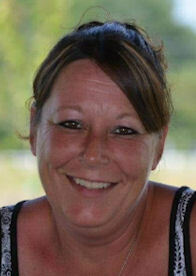 She was born February 26, 1969 in Oberlin, grew up in Vermilion and resided in Lorain for the past 28 years. Beth graduated from Vermilion High School and took secretarial courses at EHOVE Career Center. She worked as a Quality Technician at Camaco in Lorain for over 10 years and was very dedicated to her job. Beth was very generous with her time and enjoyed helping others in need. One of her yearly traditions was donating turkeys to residents at the Genesis House in Lorain. She enjoyed spending time with her children, grandchildren and family. She is survived by her children Sammantha Cullen (Jamie Rivera Sr) and Jerry Cullen, all of Lorain; grandchildren Khloe Rivera, Jamie Rivera Jr and Enzley Rivera; mother Mariette Shank (nee Gardner) of Amherst; brother Rev Robert Shank Jr (Debbie) of Wadsworth; sisters: Bonnie Hall of Amherst, Brenda Havas of Vermilion, Becky Barris (Doug) of Wellington and Barbie Shank (Duane Sagert) of Lorain; several nieces and nephews and ex-husband Ken Cullen of Lorain. She was preceded in death by her father Robert Shank Sr and great niece Courtney Nichols.